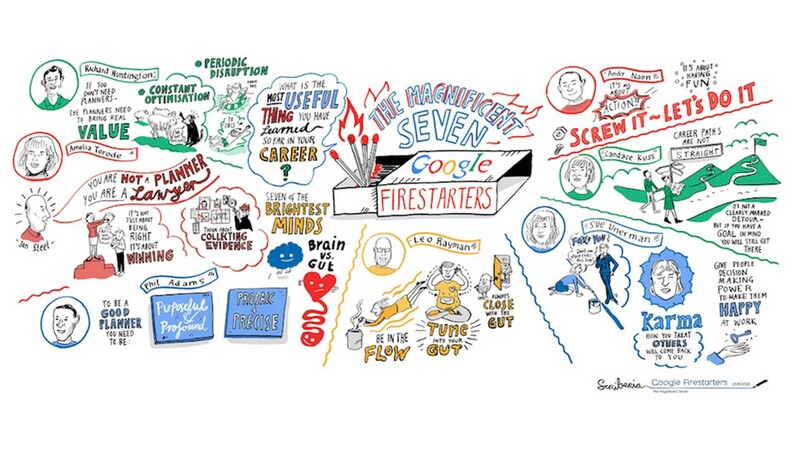 Google Firestarters this June invited a selection of 7 planners to come and talk about the most useful thing that they’d learned in their careers. It was a stellar line up (details at Neil Perkin’s Only Dead Fish page) and included two planners who combine their planning genius with immaculate comedy timing, so if you get the chance to go and see them speak don’t miss it (Richard Huntingdon CSO at Saatchi and Andy Nairn partner at Lucky Generals). All of the speakers combined erudition, humour and stuff to learn from. Amelia Torode, TBWA’s CSO, told us what she’d been told by her one time boss Jon Steel : “You’re not a planner you’re a lawyer”. 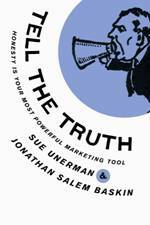 Is your main job to lay out each detail of the construction of a comms plan or to win your audience – the client – to buy your point of view? If it’s the latter then borrowing techniques from the court room might be really useful. From the OJ Simpson trial Torode mentioned not only the famous use of rhyme (“if the glove don’t fit you must acquit”), but also a less known equally persuasive question from the defence team : how many cockroaches do you need to find in a bowl of spaghetti before you decide not to eat it? So rhyme and rhetoric. In addition try humour, try repetition. George Carman QC was famous for both. In a notorious case where he fought for one time household name and popular comic Ken Dodd (87 and still touring) up in the dock for tax evasion he said: “Some accountants are comedians, but comedians are never accountants.” Dodd was acquitted. When South African liberal journalist Jani Allan sued Channel 4 for the allegation that she had had an affair with the neo-Nazi leader, Eugene Terre Blanche, Carman successfully persuaded the jury to give their verdict against her. A key part of the trial was his interrogation of her former friend, Linda Shaw who said she’d seen them through the keyhole. He asked her what she’d seen. She said “a bottom”. He asked “what colour?” “White” she replied. He pressed for more detail. She explained that it was large. He then repeatedly asked her to confirm that what she had seen was in fact a large, white, bottom. And what she thought that that large white bottom was up to. Carman: ‘There was movement up and down?’ And so on..
You get the picture. Literally I expect, just like the jury did. So paint a picture, then repeat it. And again. In another way the success of a good planner has the same root as that of a great lawyer as I’m sure all the speakers at Google Firestarters 15 would agree. 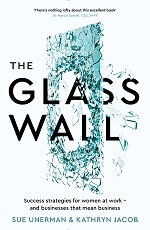 Commentators said of Carman that the secret of his success was simple: sheer hard work studying every detail of the evidence and data to build his case. Hey, money makers, leave the kids alone. They sell their soul in George’s experience for the promise of a lucrative career. It’s an interesting argument and one that has been much shared on social media. The evidence is that many people in fact regret their career choices. A Management Today survey says that three quarters of workers have some regrets. Reports of which careers give more happiness can be contradictory. The Guardian report from April of this year lists Engineers, Teachers, Nurses, Doctors and Gardeners as the top 5 most satisfactory careers, though a Forbes report claims that Doctors are bitter often about their choice of career and many wish they’d picked a different profession. Of course graduates are under pressure to choose after investing so much in their own education. To suggest that they are in danger of being seduced by an evil empire seems however massively to underestimate their intelligence and independence. There’s an argument that your first job is just a stepping stone. Especially now, when new jobs are being invented at high frequency, (there weren’t many programmatic practitioners 5 years ago) so old ideas about career ladders are redundant. A smooth career trajectory might not lead to greatness. Anna Wintour, famously fired early in her career, believes that it’s important to have setbacks because that’s the reality of life, of any career. There are those who have a true vocation in life and will sacrifice everything to accomplish their dreams. There are others who get huge satisfaction from being as good as they can at what they do every day. Behavioural economics experiments (for instance the well known Hawthorne Effect) show that if you give people the sense that they can control aspects of their job then they will be happier. I’d add to this, real joy in work comes from taking that self determination for yourself, knowing that the only person who can give you a good or bad day at work is you and what you make of the events around you. So just maybe it doesn’t matter that much what job you take when you graduate. What matters is what you make of it, good or bad. 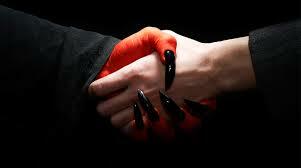 No Faustian pact necessary. Cultural Archetypes rule us all. Zombies invade Cannes this year courtesy of MediaCom’s partnership with AMC. The session as Cannes opens reveals what the cultural conditions were that allowed The Walking Dead to become such a worldwide hit, and how in fact different nations would respond to a real life Zombie attack. How much has the world wide web changed everything? Over a decade ago Bill Gates said “the internet is becoming the town square of the global village of tomorrow”. Back then the dominant language of that town square was English. Not any longer. English’s dominance as the language of the metaphorical town square has shrunk since the 1990s (from 80% to 30%). And it will continue surely to change even more. Today however the diversity of internet languages does not nearly reflect spoken reality. Of 6000 languages current worldwide only 130 are operational on Google. Whilst we can expect the number of languages online to grow few consider that most languages will feature. Academic Andras Kornai believes only 5% will survive digitally. Global use of the web will accelerate the disappearance of some of the other 5000 plus tongues and therefore reduce cultural diversity. Is there a role for a global brand which celebrates diverse culture to take a role here? Overall will the internet shape culture and erode differences or will eventually, inevitably, cultural differences shape the internet at an increasingly fast pace as mobile internet reaches parts of the world that pc internet never did penetrate? You can already see how culture affects how people operate online. For a start 140 characters in Chinese is much richer than the equivalent in English. It is not as concise a constraint. So is Twitter as I know it Twitter in Chinese? Facebook users are more likely to post about themselves, Renren users (the Chinese equivalent) share posts that benefit the wider group. This speaks volumes about archetypes reflecting cultural differences in individualism. There is a digital language divide that is as ancient as the Tower of Babel. Sir Martin Sorrell has pointed to a trend to global and local emphasis from clients (with less focus on regional), certainly in organisational terms. This surely makes sense as global brand strategies need cultural traction in each market. A forensic grasp on the detail of digital language divide, its evolution and the exchange of cultural archetypes is now essential for any multi-market plan. Wide open sports sponsorship opportunities, cheap as chips and with no clutter, or scandal. The letter begins “no-one wants to watch women’s sport, love, it’s a joke”, and then gets worse. Of course it is difficult fully to interpret the intention of the author of this note. He may think he is being funny. His note certainly is getting plenty of attention on Twitter now, which may gratify him. Barnett’s article, the note, and #LikeAGirl, do all touch on a big issue about the commercial and media neglect of women’s sport: the topic at Leaders in Sport’s conference on May 21st. Women like sport. (Women were 40% of the TV audience for the last world cup.) Women are great sports stars to watch. When it comes to events like the Olympics, Wimbledon, the excitement and thrill of watching female participants absolutely equals that of the men. The media however is not interested in Women’s sport. Coverage of women’s sport is around 7% and this drops to 2% for newspapers. The sponsorship market for women’s sports is wide open. UK sports sponsorship is around £2bn annually. 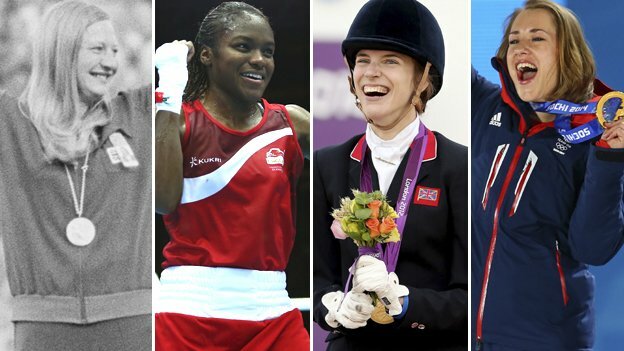 The total value of women’s sports deals recorded spiked at London 2012 at about £5m. It’s dropped since then. Women like sport, women are great sports stars. Is this a “blue ocean” (uncontested market space) opportunity for a brand? Or are traditional attitudes to women’s sport, so eloquently explained in the pink letter, too much of a deterrent? Discussing this over coffee at the conference, a fellow speaker mentioned that she used to be a strong rugby player at school and university. As soon as she started work however she had to give it up, because it just wasn’t acceptable to come in to the office with bruises and scratches from proper sport at the weekend. You might think a man couldn’t come to the office covered in bruises from rugby either, but, be honest, it would be load more acceptable in comparison. It starts at school. MediaCom’s school children’s survey “Connected Kids” asks boys and girls who their role models are. The latest results : boys say David Beckham; girls say… Zoella. It carries on through life. Women sports stars aren’t aspired to in the same way as men. And yet, their stories are as epic, their struggles as inspiring, their triumphs as emotional. There’s untapped territory here, for a media channel to get behind, for a brand to own, territory with every emotion and no clutter. It’s not as straightforward as sponsoring football, but the possibilities for the right brand to get involved with women’s sport are huge, and for the media to begin to change school children’s pre-conceptions the possibility is magnificent.